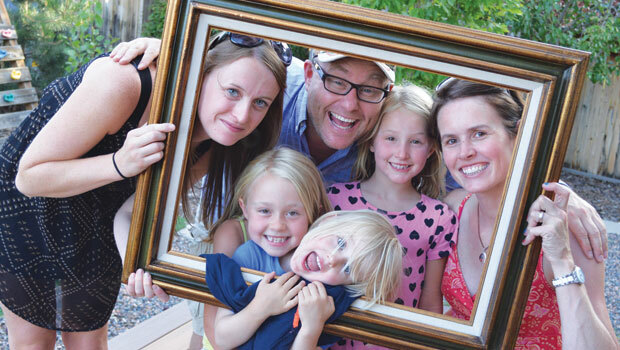 Myrthe R. from the Netherlands, is au pair in Colorado, USA. Effective communication with the children you care for will make all of you happier, and will reduce behavior problems. Model courtesy and respect when you speak to children: Children learn from our adult behavior. They watch everything that you do and say when you are with them. Try not to interrupt children. This shows them that you care about what they say. After you listen to what a child has to say, paraphrase what they said back to them. This shows the child that you were listening, and can also prevent misunderstanding. Show the child that you understand how they feel. Use positive words to direct a child’s behavior. Keep requests simple. Asking a child to do several things in a row may result in confusion and frustration, because the child cannot remember everything you asked and focus on all of the tasks at hand. This is especially true for children with ADHD. Say more than just “No.” Sometimes, negative commands are hard to understand. Be specific about the behavior you want the child to change: Instead of saying “Don’t!” say “Leave the glass on the counter, it might break.” This helps to keep communication positive, and helps the child understand why you’re correcting their behavior. If there is a problem, work with the child to create a solution. Positive communication can maximize positive behavior and minimize the need for discipline. Situation one: Morgan is having fun playing and doesn’t want to take her nap. Situation two: Matt says that Alex hit him. A great way to motivate children is to make a chart. For example, if the family is encouraging Kayla to keep her room clean, she gets a sticker on her chart for every day that her room is clean. After perhaps ten days of a clean room, Kayla gets a small reward, like an ice cream cone or special trip to town. Children enjoy the sense of accomplishment they get from watching their chart fill with stickers. Communicating effectively with your host parents is one of the most important things you can do as an au pair. It will make your life easier and your job more rewarding if you and your host parents understand each other. Keep them up-to-date on what their children do. It is a good idea to schedule regular meetings with your host parents, at a mutually convenient time, such as Sunday afternoon. Use this time to talk about any concerns you have and about how the children are doing. The most important part of communication is listening. Listen to your host parents’ concerns and ideas. If you are upset about a child’s behavior, explain the problem calmly, and give the parents a chance to discuss their thoughts. Discuss each issue separately and try not to overwhelm parents with a list of problems. Try to be as positive as possible when discussing problems: Show your host parents that you are concerned, not angry. If your host parents want you to do something that you do not think is your responsibility as an au pair, such as excessive housework and cleaning, speak to your local coordinator. He or she will know the best way to talk to your host parents about this issue. The notebook is also a good place to write phone messages for your host parents so that you don’t forget to tell them who called.